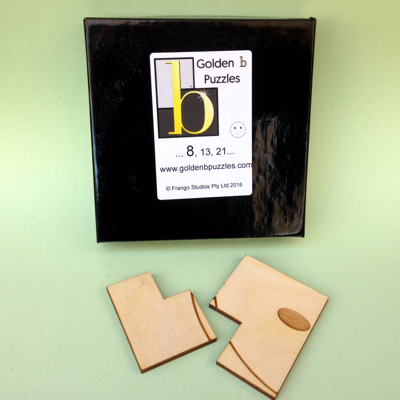 The easiest version of the Golden b Puzzle, the Beginners’ Edition boasts the same high-quality craftsmanship as our Classic Edition, with the addition of a laser-engraved smiley face on one side. Turn the tiles smiley-side up to solve the Golden b like a regular jigsaw puzzle, then flip them over to the blank side when you’re ready for a tougher challenge. Available in 8- and 13-piece sets, the Beginners’ Edition offers mountains of mathematical fun for players of all ages.